Big rumors from TechCrunch this morning. Just days after HP announced that they bought the struggling Palm for 1.2 billion, comes some possible bad news that HP has decided to kill the Slate. This morning inside sources “who have been briefed on the matter”, say HP has killed their Windows powered tablet computer, the HP Slate. Again this is only a rumor, but a rumor the that some of us have heard even before the ink dried on the Palm buyout. There was immediate speculation that HP would be making a webOS powered tablet, now it might be true. The above quote comes from TechCrunch’s inside source on the matter. Since the HP Slate debuted in the hands of Microsoft CEO Steve Ballmer, at CES 2010 in January, the status of the device went from incredibly hot to incredibly cold. 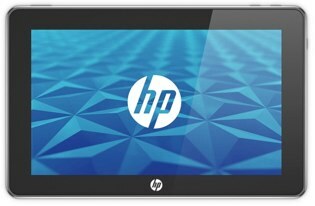 It was the talk of the web and even thought to be the only real iPad killer at first, but as HP hyped up the Slate more and more, the buzz seemed to of die down fast. It is thought that Windows 7 is just to slow and too clunky to run on the Intel powered tablet. Some recent hands-on time by an Italian blogger, showed a very sluggish device. Also some hardware limitations like no upgradeable RAM, only seemed to hurt the Slate’s street cred. As more and more people took a real look at the specs of the HP Slate, the more bad press it got. Hp just recently released a price and the specs of the Slate, so its kind of hard to believe that after all that they’re just going to abandon the the project. We will defiantly be keeping our eyes open on this breaking story. 3 Responses to Rumor: HP Slate is Dead? Pingback: Is HP Slate Really Dead? Or Palm Acquisition Another Step Towards It?